Paperback vs Hardcover Books | What is the Basic Difference? While buying a book all of us have a little confusion on whether to choose a paperback or a hardcover. The debate of Paperback vs Hardcover books is a long-standing one and in this article, I am going to address all the doubts that come to a reader’s mind while choosing between paperback and a hardcover book. Though this topic of discussion Paperback vs Hardcover may sound trivial to all avid readers whose monthly budget has a separate allocation for book shopping, still this is a very vital choice for those broke bibliophiles (like me and you). Before I get into the details of both format of books, let me just give you a brief about them so that you can understand the basic difference between paperback and hardcover books. A hardcover book (also called hardback or hardbound book) is bonded with strong protective covers which are usually made with thick cardboard. These protective covers are further covered with a leather jacket, thick front covers or cloth. 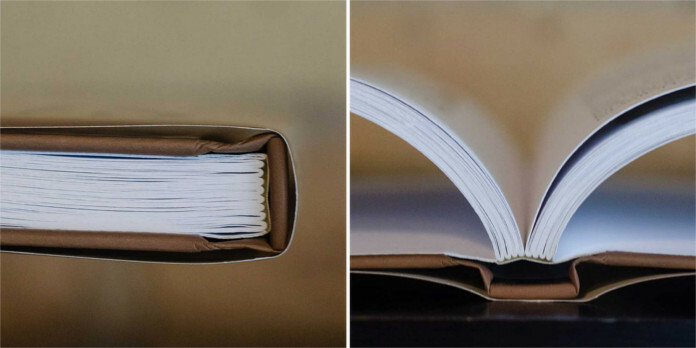 The pages in the hardcover book are usually sewn together which protects the sheets from falling out. Higher quality and durability with thicker pages. Expensive and cost more. The hardbound protects the book for long future usage. Heavy and difficult to handle. The design is superior and looks premium. Not suitable for traveling as they occupy more space. 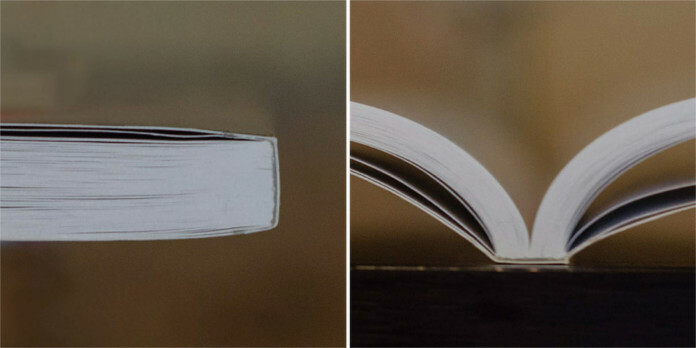 Paperbacks (or softbacks) are books published with a softcover, where the pages of the book have a thick paper as a front cover instead of thicker cardboard. The thick paper front cover is directly printed and in most cases doesn’t have a further protective cover/case. The pages in a paperback edition are stuck together with glue, rather than being sewn. Why Paperback and Hardcover editions are released separately? Sometimes authors and publishers also have this debate over Paperback and Hardcover. Well, for us it’s just a book or two, but for them its a question in thousands. Hardcover books generally have a higher profit margin per copy, unlike paperbacks which show a higher sales volume, hence publishers try to balance out their earnings by publishing more a fixed quantity of hardcovers for a sumptuous margin and then roll out more paperbacks to see the volume based margin. Historically hardcovers were the only kinds of books published, however in the mid 19th century when publishing saw a lot of technological advances and many English publishers opted to cost-cutting and started publishing paperback versions of preexisting editions for sales across Britain. Being a book lover myself, I would suggest you consider the following things before choosing between the two types of books. Hardcovers usually are priced a little higher than paperbacks, this, of course, is due to their extravagant packaging when compared to paperbacks. Readers always ask why paperback books are cheaper than hardcover books. That’s because its cheaper for the publisher to print paperback editions than the hardcover edition which in turn helps in reducing the cost for the readers. Hence, whenever you have a budget constraint or whenever you choose to be cost cautious, you can go for a paperback edition of the book rather than a hardcover. In rare cases, when the publisher decides to slash the cost of unsold hardcovers, you may get cheap hardcover books. Also, sometimes an older edition is available on a lesser price than a recent edition in paperback. As I mentioned earlier, Hardcovers are hardbound books in the front and back and are always known to be the better quality edition than paperbacks. Hardcovers have a thick paperboard (very thick cardboard) for protection and most hardcover books have a dust jacket enclosed with the front cover to prevent dust from accumulating. That’s why the hardbound books last much longer and prevent the pages from loosing out or flapping on the sides. On the inside, hardcover books are made of thicker better quality paper known as acid-free papers. These papers don’t damage easily with time and usage. However, paperback books aren’t usually this premium in terms of quality and durability on the inside and outside and are generally considered as quicker and cheaper options. In terms of even fonts, most of the times hardcovers have a visually bigger font size which increases the ease of reading. In terms of quality, the hardcover books as discussed above are much better so books which are used for re-reading or books which will be referred repetitively can be bought in hardcovers as they don’t wear with usage. In most cases, publishers tend to publish the hardcover versions initially when the book releases, and only in rarity both paperback and hardcover books are published at the same time. So, the question arises How long until a book comes out in paperback? In most cases, paperbacks come only after a year or two after the release of the book. In fact, sometimes when the initial run of hardcover versions sell good, publisher release another edition in hardcover only (which I hate really). See, if you are eager to read the book and can’t wait to dive into it, then you have to spend some extra bucks and go for the hardcover edition. Otherwise, you have to wait for the paperback edition for nothing less than 9-10 months. Hardcovers generally come in a standardized format with little variation hence making them look good on a shelf when being arranged with other books. In sizes and most hardcovers are larger and look premium, paperbacks, on the other hand, come in a lot of different size adaptations and alternatives and are generally smaller and than hardcover books. Since paperback books are smaller, have thinner pages and cover they also tend to be light in weight when compared to hardcovers because they are free of the extra additions and just care to the content. If you are a travel reader and love porting your books along with you in your holidays then hardcovers will be a bulky choice both in terms of weight and space and paperbacks will be a more agreeable choice. Hence in terms of handling and ease in using, paperback books are the clear winner over hardcovers. 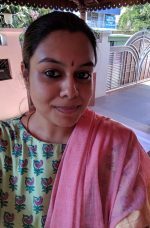 Apart from the above-mentioned choice points, there are other minute details which also tend to alternate our choice between paperback vs hardcover such as the purpose of buying and place of reading. As discussed earlier, Paperbacks seem to be a convenient and compact choice for traveling, hence for those who love to read on the move generally paperback editions are recommended. They are easier to carry and also cause less strain while holding. A lot of us have the habit of reading on the bed and in this case, you should prefer paperbacks which are always easy to handle and flip over. Books are a man’s best friend when it comes to gifting, and for decades books have been gifted with love and memoir. When choosing a book as a gift, hardcover editions with a premium and superior look are welcomed mutually by both the buyer and the receiver. Conclusion: Paperback Vs Hardcover – Which is Better? Now that we have discussed all points of comparison between a hardcover and a paperback book, it is very clear the choice we make as readers depends on our need and utility. Like, dictionaries can be bought in hardcover, however, when you want to grab a quick one-time read you can opt for a paperback. Today, readers are offered much more digitalized options such as e-books and audiobooks apart from just hardcover and paperback books. With so many options and variations, its better to pursue reading in some way or the other, whichever suits our time and comfort! 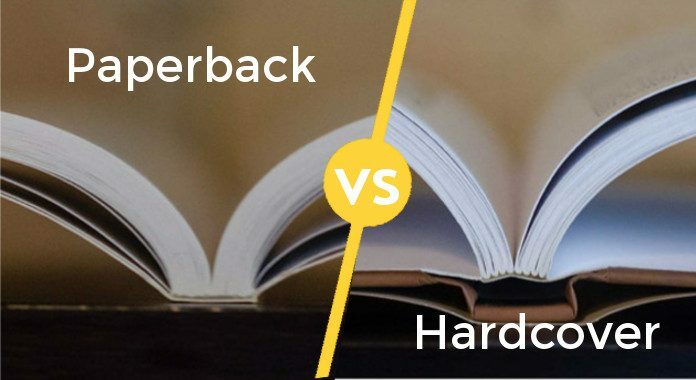 What do you prefer between Paperback vs Hardcover? Tell us in the comments.